The APS™ was not created to give an A-Z education on asset protection planning. 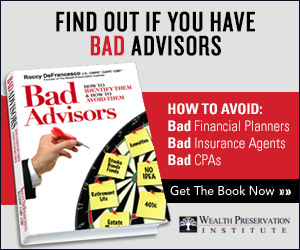 For such an education, advisors should look to APS™ strategic education partner, The Wealth Preservation Institute (which offers the CWPP™ and CAPP™ courses). Having said that, the APS™ will fill a continuing education need for its “Rated” advisors. Whether you are an attorney, CPA/accountant/EA, insurance agent, financial planner, CWPP™, CAPP™, CFP, CLU, etc, you have continuing education requirements to keep your licenses. The APS™ has the ability to give continuing education for many different specialties. The APS™ currently has the ability to give CPE and CFP continuing education credits. Soon the APS™ will be able to provide CLE as well as CE for insurance licensed advisors. Here is an example of a basic estate planning course for purchase. Being able to attend the Educational Forum at a significant discount should alone cover the cost of membership to the APS™. For more information on continuing education offered through the APS™, please Email Us.